Translator and author Basil Balian read the full story of ‘Rocambole’ by Ponson du Terrail (1829-71) when he was an adolescent and then waited for fifty years for someone to translate it into English. 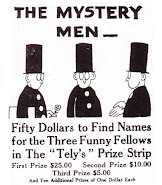 When no one did, he embarked on a three volume adaptation of the story. 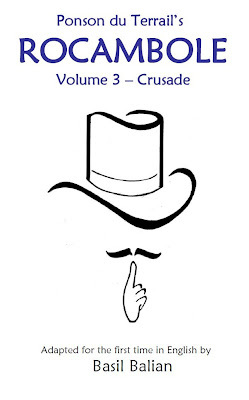 Volume 3 – Crusade, the final volume is now in print. 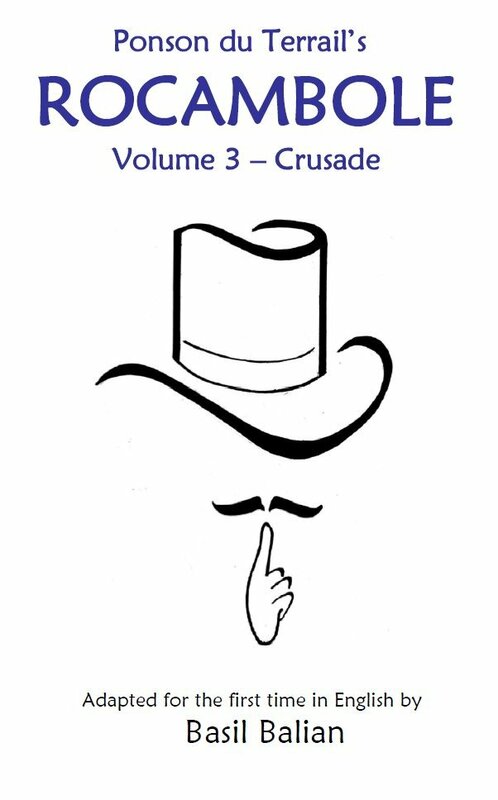 Volumes 1 and 2 are available through Amazon HERE. Volume 1 – The Dark Side. Armand de Kergaz, a noble person, battles his stepbrother, Andrea, a sinister man, to find the legitimate heir of a dying man who has bequeathed a twelve-million-francs inheritance to his missing daughter. The trail leads to a young woman named Hermione, the missing daughter. While Armand tries to ascertain her identity, Andrea tries to steal the fortune by marrying her. A beautiful courtesan named Baccarat gets involved and innocently helps Andrea. Rocambole, a thirteen-year-old rascal, is Andrea’s protégé but chooses to help Armand for a sizeable reward. Baccarat also realizes the error of her ways and helps Armand foil Andrea’s plans. Andrea is banished but returns five years later and convinces Armand of his repentance. Armand put Andrea in charge of his private police to fight a gang of criminals for hire but in reality, Andrea is as rotten as ever and the secret leader of the gang he is assigned to expose, assisted by an eighteen-year- old Rocambole. Andrea and Rocambole make a deal with a wealthy Indian woman who wants to get rid of her cousin’s wife so that she can marry her cousin. Their evil plans are derailed by the return of Baccarat who joins forces with the Russian Count Artoff. Count Artoff captures Andrea, disfigures him, and ships him off to the savages in South America. Armand captures a wounded and repenting Rocambole but feels sorry for him and forgives him. Rocambole recovers and leaves for London with Andrea’s files. Rocambole returns to Paris four years later as a ruthless, brilliant schemer with plans to impersonate the Marquis Albert de Chamery and marry a wealthy Spanish heiress, Concepcion de Sallandrera. Rocambole had met Albert on his voyage to Paris but left him to die after a storm swept the two of them to a deserted island. Rocambole comes across the disfigured Andrea who has returned to Europe from the New World and takes him under his wing as his evil mentor. Ultimately, Rocambole comes to the conclusion that only Andrea knows his identity and so Rocambole eliminates him. Baccarat again accidentally enters the scene and pieces the puzzle together and determines that the Marquis de Chamery is none other than Rocambole. She locates the real Albert de Chamery and arrests Rocambole. Rocambole is sentenced to hard labor in Toulon, France. During a charitable visit to the labor camp, Albert de Chamery’s sister, Blanche de Chamery, a woman Rocambole had truly loved as a sister, fails to recognize him because he was disfigured as a result of an attack by inmates. Rocambole had hoped that he would see her one day and ask her for forgiveness. Out of this agonizing experience Rocambole starts his path to redemption. Rocambole escapes prison after ten years of captivity with a new gang who would become his lifelong followers. Rocambole’s first task is to protect two orphaned girls from the schemes of the evil Karle de Morlux and his partner-in-crime, the Russian she-devil, Countess Wasilika Wasserenoff. Rocambole battles his enemies in France and Russia and during the course of the adventure his path again crosses that of Baccarat who eventually comes to believe in his redemption. Rocambole saves the two girls but in a period of despair decides to kill himself. 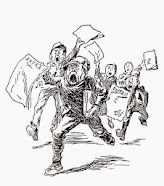 Blanche de Chamery, who had caused him to redeem himself, stops him. Wasilika has kidnapped her son and she needed Rocambole’s help to find him. Rocambole saves the child and kills Wasilika, but escapes mortally wounded. The mortally wounded Rocambole falls in the river and his body is found by a gang of thieves who nurse him back to health and want him to be their leader. Among them is a young thief named Marmouset who becomes Rocambole’s protégé. The new gang battle an Indian cult, the Stranglers, in France and England to save young virgins of wealthy families, who were selected to be human sacrifices to the cult’s Goddess Kali. The Strangler’s true motive however is to get the virgins' families’ fortunes. Rocambole captures Ali-Ramjah, the Supreme Leader of the Stranglers, and delivers him to India. While in India, Rocambole serves Rajah Osmany, a noble Indian leader, is his battle of independence from the British. While Rocambole was in India, his protégé Marmouset encounters a mysterious woman, nicknamed the “Beautiful Gardener,” who is Romia, a gypsy woman who had kidnapped Marmouset’s friend the Marquis de Maurevers because the marquis had killed her lover. The woman proves to be more than a worthy match for Marmouset who is imprisoned and tortured by the Beautiful Gardner but is saved by Rocambole as he returns from India. Rocambole continues his crusade of searching for people who need help and justice. His new challenge is to locate Ralph, the last heir of a wealthy Irish family who has been abducted in London and is being pursued by his uncle, Lord Palmure, and his daughter, the beautiful Miss Ellen, who stands to inherit the boy’s fortune. Rocambole saves Ralph, wins Miss Ellen to his side, but is captured by her father. Rocambole instructs Ellen to go to Paris and look for Marmouset and other members of his gang to assist him. The gang helps Rocambole break out of prison but he refuses to leave England because, while in prison, he had promised a man, Tom, to correct a sinister injustice committed by Evandale Pemberton who stole the fortune and title of his half-brother William, and exiled him to Australia. Tom locates William but kills Evandale when he refuses to correct the injustice. Tom is executed in prison after he meets Rocambole. Rocambole helps William get his fortune back. In August 1870, Ponson du Terrail, the author of the Rocambole saga, suddenly died in Bordeaux at the age of 42. If he had lived Rocambole would most likely have continued his crusade and gradually surrendered his mission to his pupil Marmouset as he grew older. A plausible epilogue is added in this adaptation. This work is an adaptation because it differs in the details from the complex and convoluted original story. Balian tried to simplify it for today’s readers but still kept most all of the major plots of the original story. For more on the history of Rocambole and his creator see HERE. André Galland’s French comic strip version of Rocambole you will find HERE. And an article about Basil Balian and his ‘Rocambole, Volume 1, The Dark Side’ is HERE.